. The power strips, also known as socket strips and rack PDUs, come with many sockets from which they supply power to equipment in the cabinet. 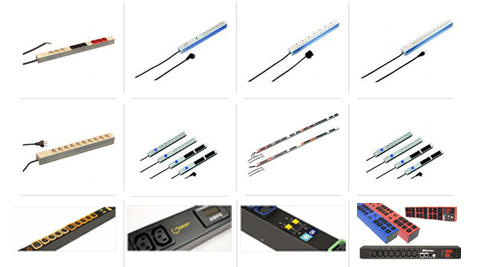 The input power to the rack PDU is through different types of plugs, depending upon the current rating and power distribution system within the data center. The sockets are available in multiple formats: IEC C13, IEC C19 and BS sockets. Power strips come with many advanced features such as monitoring and control through IP, secure locks to prevent accidental disconnection of power cables.